Topped with a Zeiss Terra 3-9x42 on lightweight Talleys. This gun is a shooter, but shot very little. Been a safe queen for me. Loves Federal Premium 150 grain Nosler Partitions. Gun, with scope, weighs 7 lbs 8 1/2 oz. Gun only, $950 face to face in SLC, UT. With scope, $1250 face to face. 1. 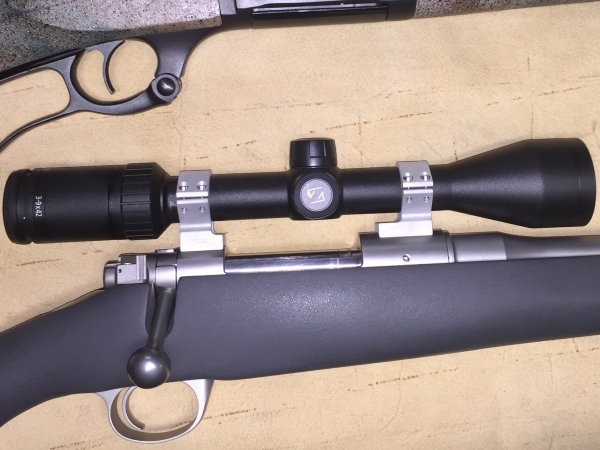 "RE: Kimber Montana 270 WSM stainless"
This gun is sold pending a trade..